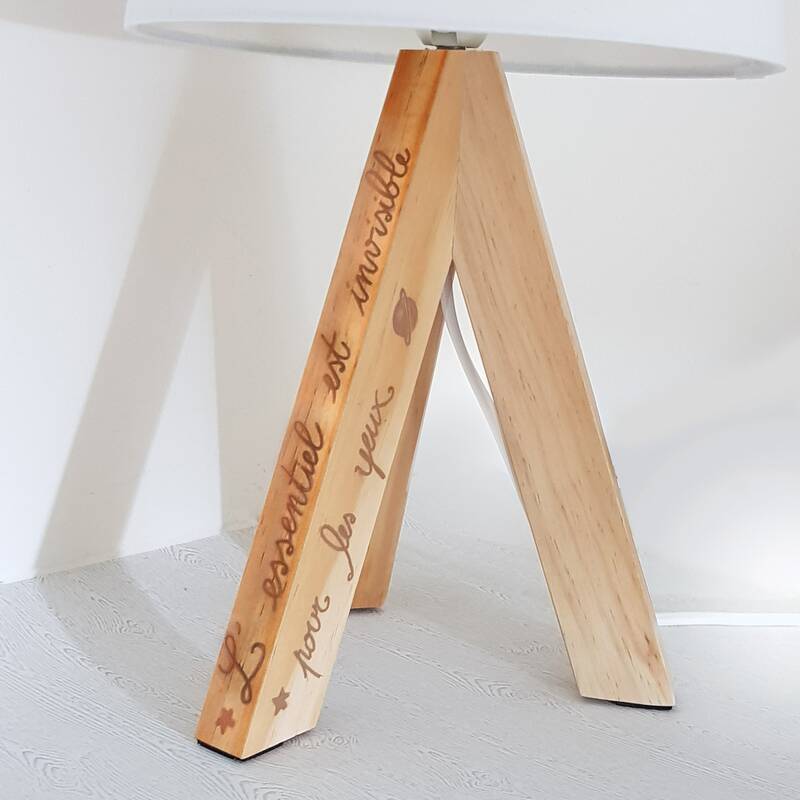 With phrase on the foot of the lamp "The essential is invisible to the eyes" written in the original French language, of the famous book. 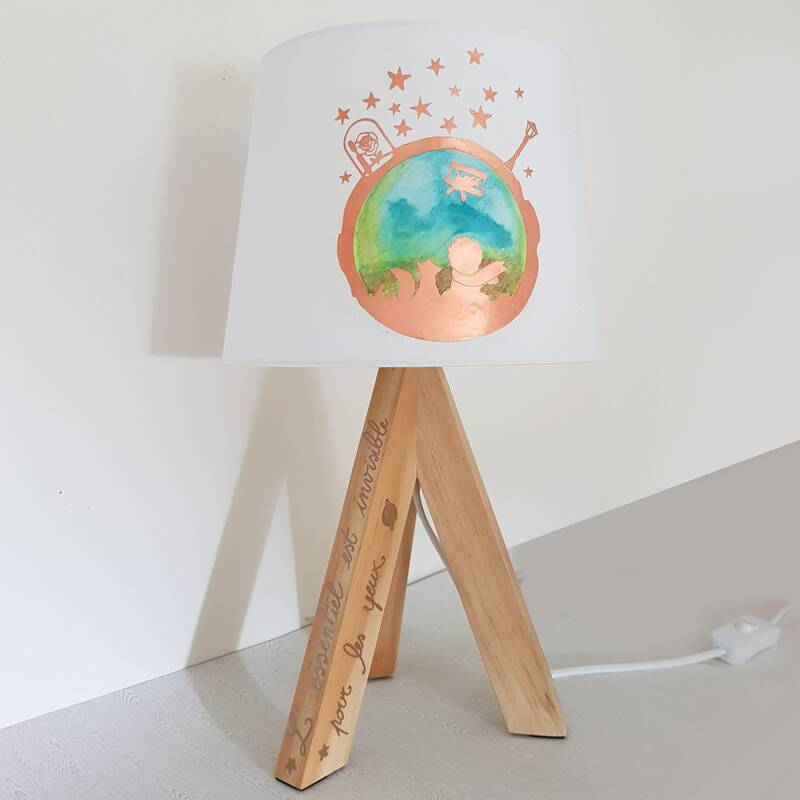 Perfect size as a table lamp or Abat jour. 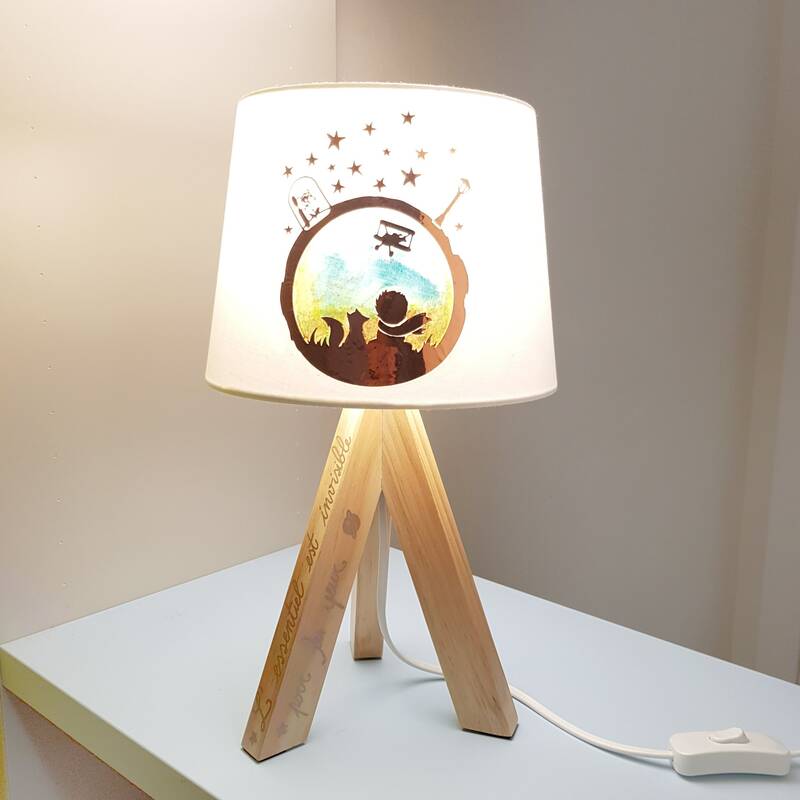 A lamp turned off, in a lighted room, gives the idea of a design set in the afternoon. 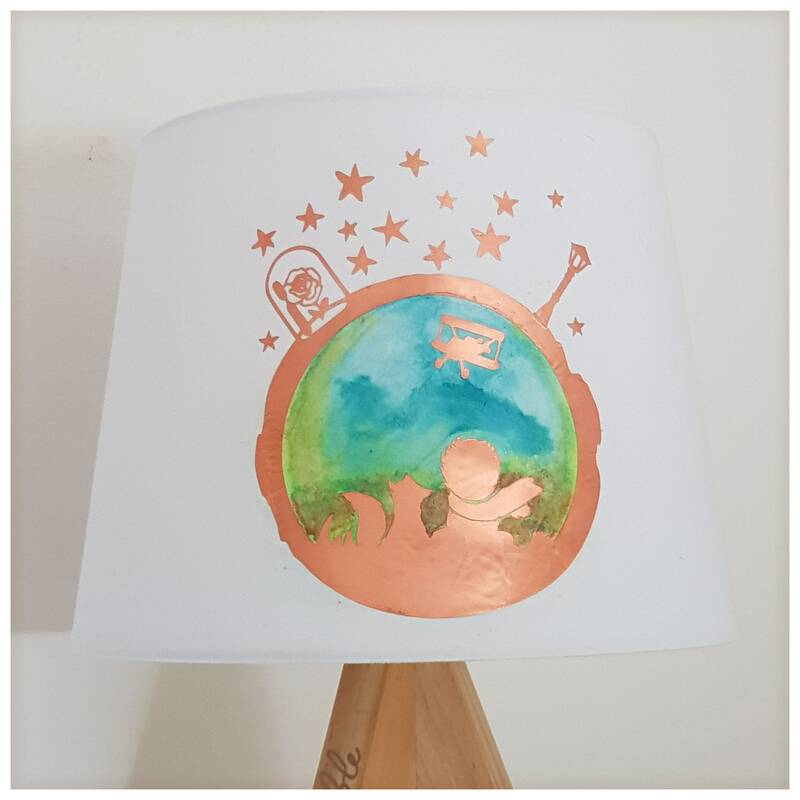 With lamp on, the drawing seems to represent the dawn. 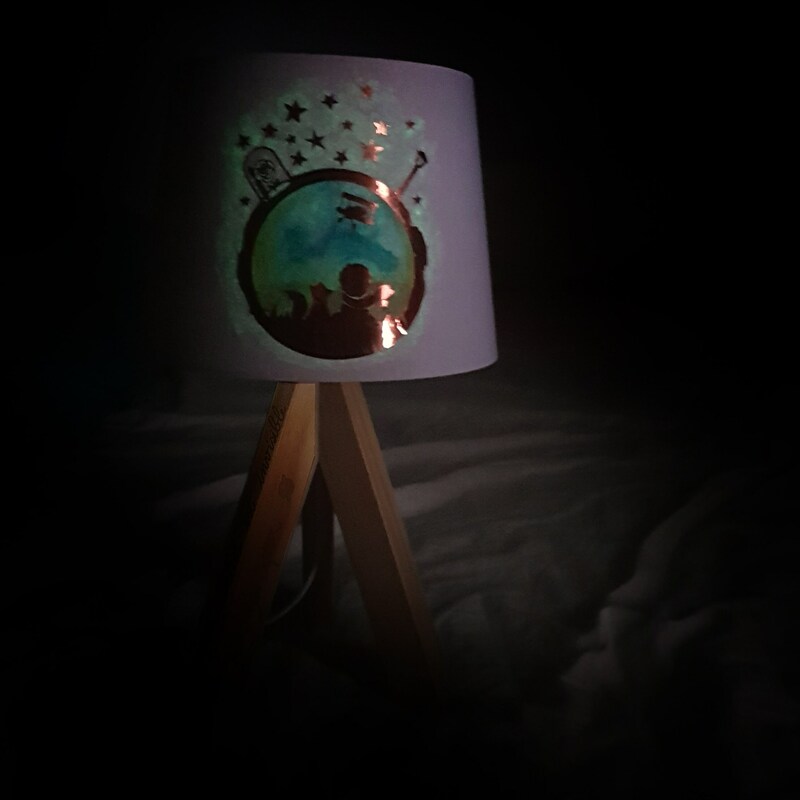 In the dark, with the lamp off, the part painted by hand, appears phosphorescent and represents the night. We recommend Max 40 Watts If you are using a halogen bulb and Max 11 watts for LED bulb. 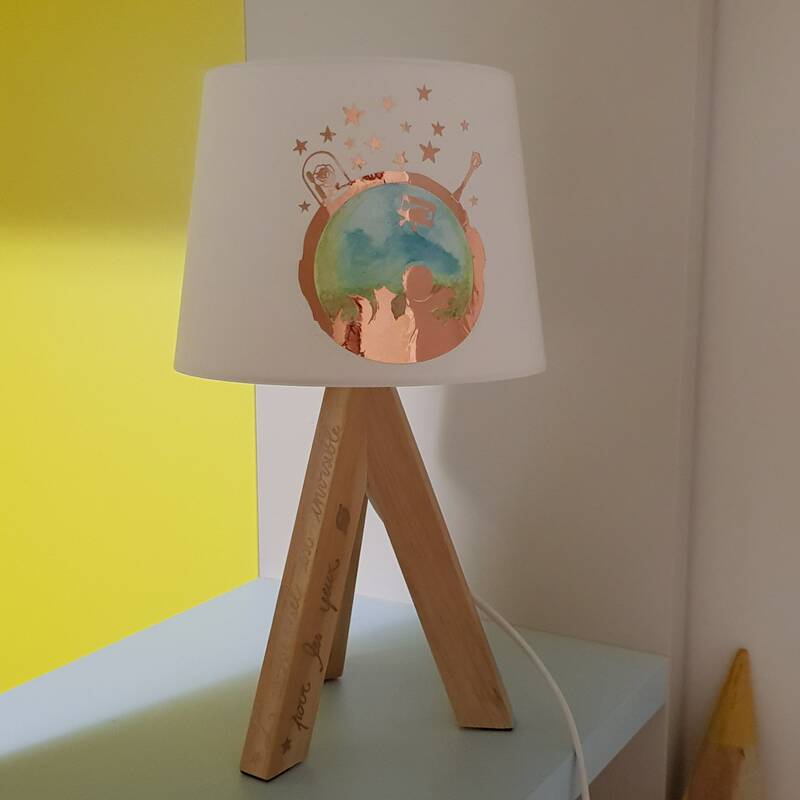 The decorative part has been handmade, making it an object unique in its kind, also and especially thanks to any small imperfections that can not be considered defect but quality. 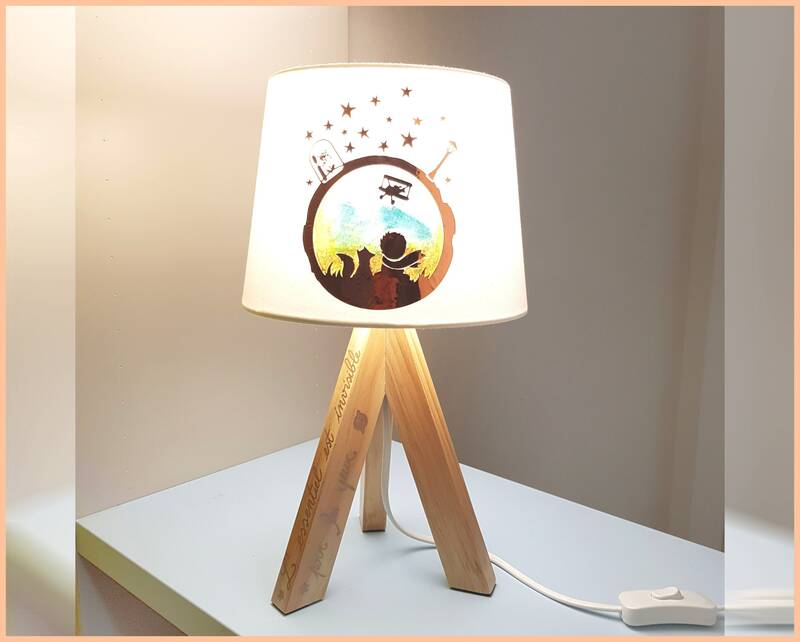 They demonstrate the real craftsmanship of the product, emphasizing the artistic quality. 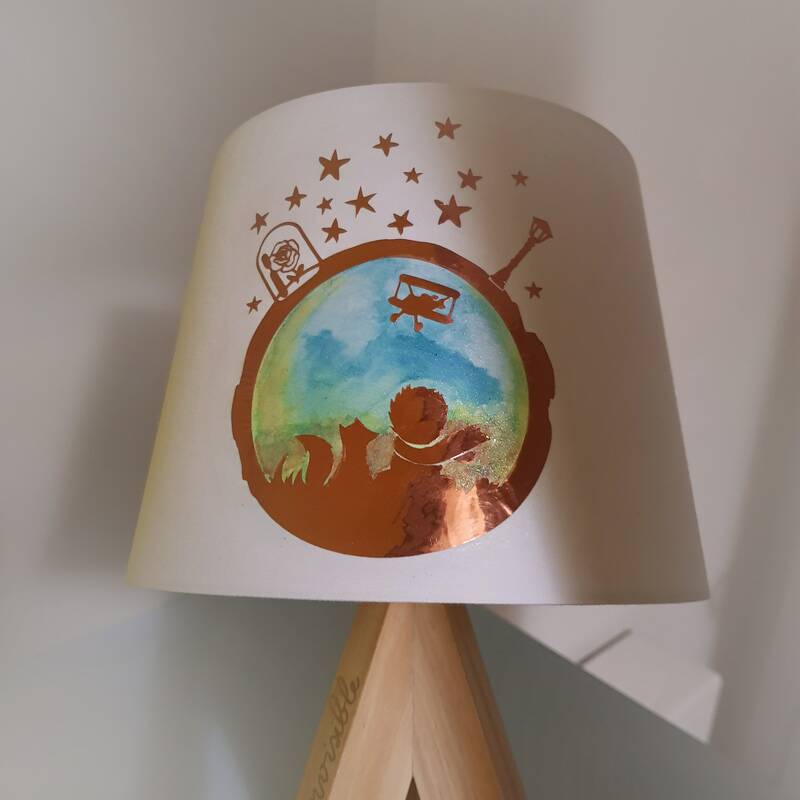 If you need more than one table lamp, contact in a private message for a personalized quotation. For any other info, send me a message. A salvage or recycled box could be used to safeguard the environment. I assure in any case, the utmost care for a safe transport for the object.